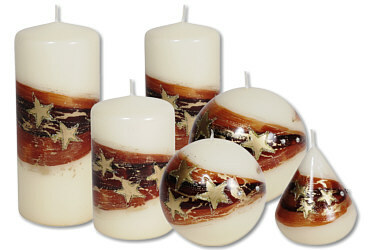 Candles in wood structure, tealight holders and candles with striking design, lovingly and creatively designed. 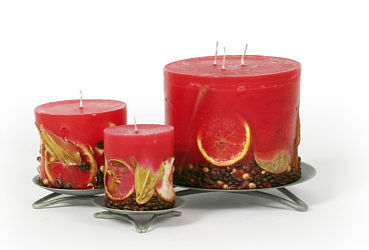 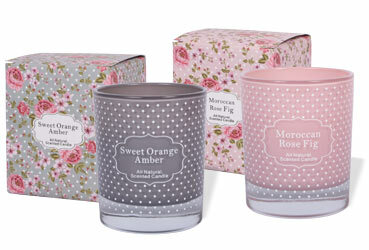 The aromatic candles in various shapes and scents are made of 100% palm wax. 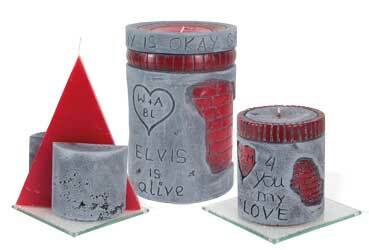 Cylinders, cuboids and star shaping candles as well as tealight holders with fruit and nature decorations. 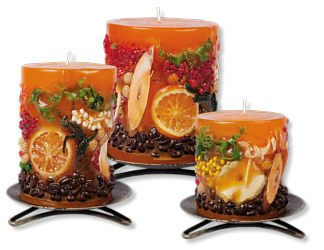 Cylinders and cuboids in various sizes and 6 colours, with fruit decorations. 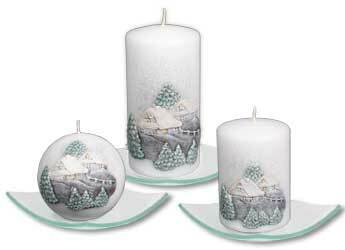 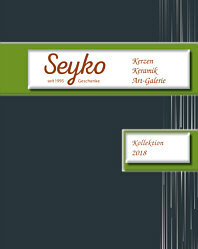 Just right for the Christmas time or for the winter season: candles with beautiful winter landscape and Christmas motifs. 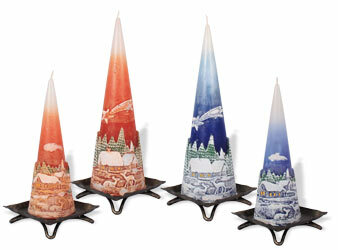 Candles in cylinder and cone shape as well as tealight holders in various colours. 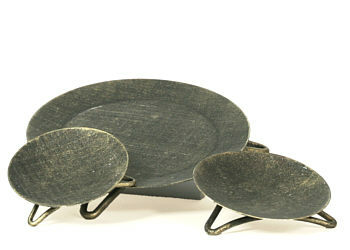 Matching glass plates and metal stands for our candles.